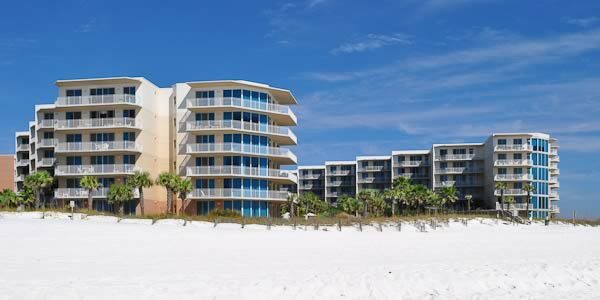 Welcome to Okaloosa Island where you can enjoy your leisure time, play in the warm, gentle surf, bask in the soothing sunshine and allow yourself to indulge in the vacation property you have always wanted to own. Waterscape Resort is the place to be for the young and the young at heart. 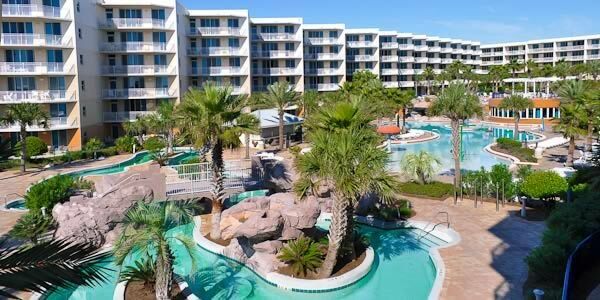 At the center of this condominium resort are three pools and lazy river that meander through the middle of the property. Burgers, beverages, and other treats are available in this playground. While this watery oasis is plenty to keep the kids engaged, there is a Kid's Club available that offers fun activities for children. Activities here are not only for the children. Adults can start their day in the fitness center that overlooks the Lazy River and the Gulf beyond. The community has a Tiki Bar and Grill, picnic area with grills, and beach service. The classical design of the one, two, and three bedroom condos here incorporate upscale and luxurious furnishings. There is a rental department on-site, and the property has a proven rental history that will please investors. Waterscape has so much to offer; but remember, one of the best things is the beach. The beach on Okaloosa Island is stunningly beautiful and second to none. Try the Waterscape Market Report it provides information for prospective buyers to evaluate current listings, pending sales and recent purchases in Waterscape over the past six months. Potential sellers can utilize this report to assist in establishing the current market value of their specific condominium. Contact Emerald Coast Realty for additional sales information or to schedule a tour of one of these condominium units, 850-437-5618.